Meet Eno Cultura, a new French Wine Scholar approved program provider in Brazil. Their first FWS session is scheduled to begin October 18th in Sao Paulo. Learn more HERE. Sharing their accumulated knowledge from over 25 years combined experience in the European wine industry, Paulo Brammer and Thiago Mendes founded EnoCultura wine school in 2013. Q: Paulo, could you give us a bit of background on your personal and/or professional history in wine and your wine school, Eno Cultura? My beverage industry experience began 15 years ago in London where I managed bars and then later became head sommelier for the three Michelin-starred chefs, Pourcel Brothers. In 2008, I started as wine buyer at the ETM Group, where I created the ETM Wine academy in 2012, a training scheme teaching WSET Level 2 courses for their employees. During my career, I was granted several awards, including being Nominated Pub Personality of the Year 2013 (Imbibe Awards), Best Group Drinks Offer 2012 (Harpers Magazine), Multiple operator of the year 2009 (Theme Magazine) and UK Best Mixologist 2009 (Archant Food & Drinks Awards). I am currently a wine judge for Decanter World Wine Awards and IWSC. Q: Thiago, how about you? I moved to London in 2003 to study at London College of Fashion, after a solid career as sales manager in the fashion industry in Brazil. Intrigued by the wine culture in the U.K. I quickly began my WSET studies-taking levels 2 and 3 and then the Diploma in 2012. In 2007, I started working as the first International Wine Challenge Ambassador for Brazil and Mexico. At the same time, I was also promoting wine tastings of Brazilian wines for wine clubs such as Imperial College, among many others. During this time, my desire to become a wine educator grew stronger. Q: What type of education experience do you provide at Eno Cultura that you think sets you apart, as a wine school? We have created an online feedback form – sent at the end of every course along with a list of wines used during the course – with the option for the student to be entirely anonymous. That form enables us to monitor tutors and have a better understanding of where they could improve. In 2017 we collected over 350 individual feedback forms. Eno Cultura started a sponsorship program in 2017, and we are now able to count 19 patrons among importers, wine brands and governmental bodies. Each patron earns a certain number of scholarships to train their professional and commercial partners. As of this moment, over 60 professionals have already utilized these scholarships and been trained. We also had three students who were granted the IWC (International Wine Challenge) scholarship. 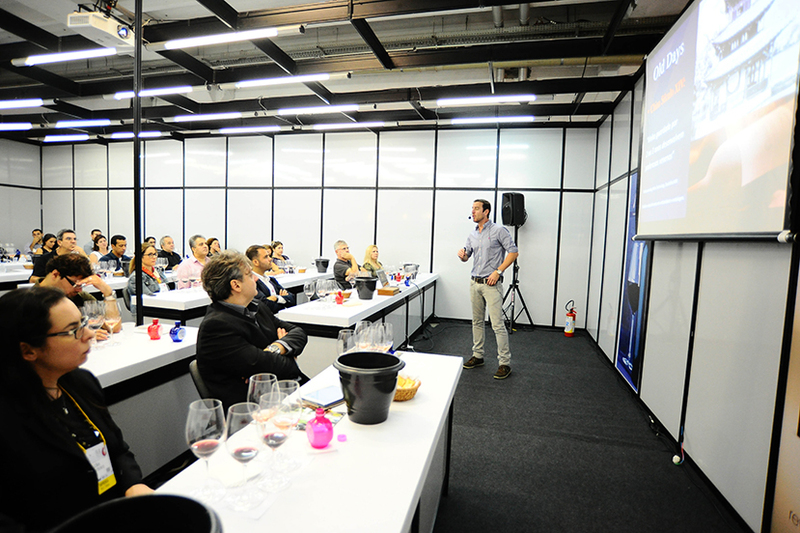 Eno Cultura has always been present at every wine fair in Brazil, whether trade or consumer oriented, conducting blind tastings, wine talks and lectures. One of our main values is the credibility of the content we share. Since we started in 2013, we have been committed to bringing the highest level of education available to the industry. To that end, we have been involved in projects with various Masters of Wine and Master Sommeliers such as Tim Atkin, MW, Ronan Sayburn MS, Geoff Kruth, MS and Alistair Cooper, MW. We were also responsible for the first organized Decanter Magazine visit to Brazil during which the focus was on both producers (in Serra Gaúcha) and consumers (in São Paulo). Eno Cultura enabled and assisted in bringing the first course of The Court of Master Sommeliers in Brazil to fruition in 2016. In 2017 we assisted in hosting another Introductory course and the Certified Sommelier exam. Creativity is an important value to Eno Cultura. Thinking of innovative solutions to problems is in our DNA. This campaign was created by Eno Cultura to engage people in the fight against breast cancer. We designed a Masterclass about rosé wine regions and different styles. The proceeds were donated to Femama (a research institute who is working to find a cure for breast cancer). We donated a Masterclass dinner showing Californian wines to raise funds for the American Society institution, which supports nine different institutions that fight to eradicate child poverty. Our WSET Educator, Elcio Giusti Dip WSET, is a generous man who does not accept his teaching fees. We donate his fees to a social project called Buscapé, headed by the talented chef Eudes Assis. Q: Why did you decide to start offering the French Wine Scholar Program at Eno Cultura? We are always looking to extend and update our portfolio with new courses, and here in Latin America there is a large trend towards specialized courses with a focus on a particular region or theme. Today the most complete course on France in the world is the French Wine Scholar program, so we are really proud and excited to start this project. The material is extremely well written with a high level of detailed information, so now all we need to do is to pick great wines and let our tutors show their passion! Q: Paulo, if you were going to be stuck on a desert island for the next 20 years and had to choose only one wine to enjoy on the island during that time, what would it be? Well, If I can have an infinite supply of only one wine, and no price tag attached, I would probably choose Montrachet! Q: Thiago, what would be your desert island wine?